The Dark Net: Will the Black Market Continue to Rise? When The Silk Road, the infamous online marketplace for illicit goods, was shut down by federal law enforcement in November of 2013, a Reddit member commented: “silk road 2.0. in a month max.” While it actually took until February of 2014 for The Silk Road 2.0 to appear, this poster’s confidence in the highly-decentralized anonymous marketplace system was not misplaced; dark net markets are now more plentiful than ever. For those not aware, “the dark net” refers to a system of servers all over the world that are only accessible through something like the TOR system—a tool to anonymize internet traffic. Working in conjunction with the Bitcoin technology—a decentralized, largely anonymous “cryptocurrency”— it became a tool for selling drugs and other illicit items in 2011, when the Silk Road began. Today, despite numerous setbacks by law enforcement and hackers, over 20 different black market sites now operate on the dark net. In both size and sales, some of them have now far outpaced the original Silk Road, and anything from drugs to weapons to assassinations are widely available. Aside from some scattered articles, though, media attention has been focused on the trial of the alleged owner and operator of the original Silk Road site—Ross Ulbricht. So I looked beyond Ulbricht’s legal difficulties to find out what’s been going on in the past year and what the future holds for these tech-savvy rogues. I conducted some of my own research on the sites themselves, and interviewed two leading scholars—Jamie Bartlett, Director of the Centre for the Analysis of Social Media at Demos, and Dr. James Martin, senior lecturer and researcher in criminology at Macquarie University. Martin has recently written a book called Drugs on the Dark Net, and Bartlett is the author of The Dark Net. “When the Silk Road was taken offline,” says Martin, “law enforcement declared it the beginning of the end… however, they’ve unwittingly sparked innovation.” In fact, Agora, the current leader in dark net anonymous market activity is now bigger than the Silk Road ever was, and The Silk Road 2.0, Evolution, Hydra, Middle Earth, and a large number of competitors are also thriving. Far from being crippled by the government strike on the Silk Road, the dark net is healthier than ever. Bartlett concurs. In his book, The Dark Net, he says that the Silk Road 2.0 “is one of the most resilient, dynamic, and consumer-friendly marketplaces I’ve ever seen.” So resilient are the sites that, says the owner of the site Middle-Earth—a former top seller on the Silk Road—they even came back from near-annihilation. Dealers are changing too—street smarts have been replaced by public relations and administrative skills. Anonymous marketplace Evolution even has its own public relations representative (a user named Scattermind, or “boogie” on Reddit—you can find his guide to deep web safety here) whose duties even include doing interviews. And the technology, too, is getting better: Bartlett tells me that the number of TOR servers—the nodes that bounce internet traffic between them to hide the origins of the user—is growing steadily, and that “the TOR browser [the most common means of using the network] itself comes close to being as quick as a normal commercial browser.” In addition, many websites are now using methods such as multi-signature authentication and third-party escrow services to create higher levels of trust among their users. Bartlett also notes that in the past year or so, the dark net has gotten a lot easier to navigate, with directories and search engines contributing to a more organized infrastructure. Currently, Martin says that the dark net’s user base is determined by a “self-selection bias.” Not only do you need a bank account and an internet connection to use the markets, but you also need a sufficient level of technological understanding to be able to function on them. However, these barriers are fading fast, with even low-income households having increasing access to computers and smartphones. With the rise of the millennial generation’s “digital native,” it is also likely that a growing number of people in the next 10 years or so will likely have the skills necessary to buy and sell on these anonymous markets, which are getting more publicly recognized and user-friendly all the time. Policing efforts remain largely traditional, meaning that there is at this time no direct way for law enforcement to track down online drug traffickers. In short, if they want to stop a site, law enforcement will usually have to go after anonymous individuals without concrete links to others on the site. The more sites there are, the harder this job gets, especially considering that they operate without national or geographic boundaries and nearly every communication is encrypted. Both Martin and Bartlett agree that the dark net and its associated anonymous markets aren’t going anywhere. Indeed, they both see the dark net in general growing, as people looking for privacy rather than illicit goods are also drawn to it. The online black market will certainly grow concurrently, however; if it continues to evolve at its current rate it may eventually become more popular than in-person transactions. This will have a dramatic effect on the global war on drugs and probably the global economy, as this technology will enable a wider, more market-friendly distribution of illicit goods. 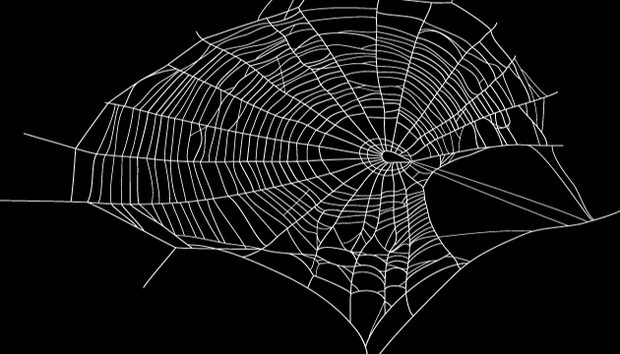 The dark net is still very young, even relative to the internet. Bartlett compares this stage of its development to the year 1993 in the development of the internet: its potential is just beginning to be realized, and the rate of progress is picking up exponentially. Though the dark net is just getting off the ground, it is entirely possible that this is the beginning of a technology that will prove ubiquitous in several years. Whether this will turn out well or badly, whether online drug markets will prove to reduce or increase overall harm—all that remains to be seen. One thing is for sure: these are the early days of a revolution, and this revolution bears watching.